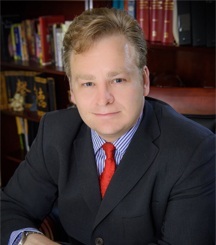 Misdemeanor attorney Daniel Hilf has an established reputation for providing solid and independent legal representation in the Grosse Pointe area in Municipal Courts. Misdemeanor convictions have serious repercussions which can cause the loss of liberty, loss of reputation, loss of educational opportunities, loss of employment advancement, and impact to your positive future plans. With a misdemeanor charge looming you should never delay in obtaining needed legal advice and zealous legal representation from an in demand criminal defense specialist, in order to put your misdemeanor troubles behind you. Misdemeanors throughout the State of Michigan are levied by prosecutors due to alleged violations of local ordinances, State statutes, and Federally enacted laws which are considered lower in severity than felonies. Commonly charged misdemeanor charges include (but are not limited to): DWLS (Driving While License Suspend), drunk driving (DUI, OUIL, Super drunk, etc. ), disorderly person, assault and battery, domestic violence, and retail fraud. The maximum possible jail penalty for a Grosse Pointe area misdemeanor conviction is imprisonment anywhere from 90 day to 365 days (with the exception being "high court misdemeanors" which provide for a greater maximum penalty). With exception to a select handful of misdemeanors, most misdemeanors do not require the Judge to order a jail sentence. However, the Judge is free to impose strict and demanding probationary conditions that may make your life miserable for a misdemeanor conviction. If you do strictly obey what was ordered by your Judge, the possible result may include jail and/or even harsher probationary conditions. There are offense specific misdemeanor convictions that can result in additional consequences outside of the Judge's control, including: loss and/or restrictions to your ability to legally drive an automobile (drunk driving and driving without a license offenses); loss of ability to work in a hospital setting caring for patients (various assaultive, theft related, and drug crimes); the inability to lawfully posses/purchase firearms (stalking, domestic violence), loss of hunting and fishing privileges (some DNR offenses), etc. If you are not a US citizen you should also seek guidance and representation from an immigration lawyer because a misdemeanor conviction can lead to severe immigration sanctions such as deportation, inadmissibility (inability to lawfully return to the United States if you ever leave the United States), immigration detention, and the inability to obtain waivers and other immigration relief. due process of law (presumed innocent of all criminal offenses, prosecution has sole burden of proving its case beyond a reasonable doubt, contested trial in front of a jury, right to cross examine all witnesses that testify against you, right to subpoena witnesses for your defense, right to remain silent, right to testify and tell your side of the story, appellate rights). If you are convicted of any misdemeanor or felony, it is up to your Judge to decide what happens to you and your future. Before your Judge sentences you, the Judge gives you and your lawyer a chance to argue against imposing a tough sentence that can make your life very hard. Your defense is only as strong as its weakest link, and your important Constitutional rights only have real meaning only if your attorney is fully invested in the defense of your case. You can have a blind man's approach to your defense, and hope for the best, or take control of your life and seek proper legal representation. Does the lawyer who I am trusting the defense of my future to make payment arrangements to help me afford the lawyer's services, or accept credit card and debit card payments?. When it comes the above questions, the answer is a resounding "yes" if you make the smart decision to hire attorney Daniel Hilf. You do not need to settle for a lawyer who just goes through the motions to provide the bare minimum service, or a lawyer who doesn't have the ability to pursue all defenses. Being on top of his game, sharp, zealous, and experienced are all proper descriptive terms that apply to attorney Daniel Hilf and his legal services.